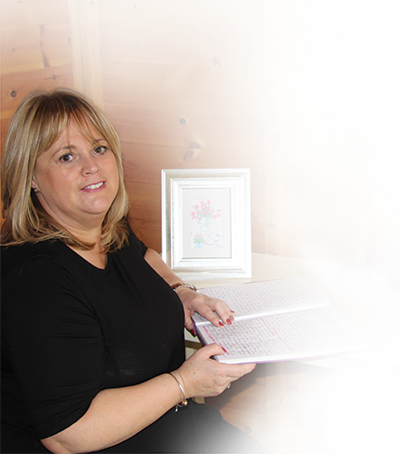 Hi my name is Ann Finucane I was born and raised in the west of Ireland, moving to England in the late 80s. The Midlands has been home for my family for the past 25 years. In that time I have juggled motherhood while working and studying through a career change to follow my passion to work in Learning Disability and Mental Health and eventually graduating with a Diploma in Psychotherapeutic Counselling from Staffordshire University. I feel very passionate about the process of counselling and psychotherapy. I believe that as much as we think we know ourselves, it is only when that life changing event occurs that we realise our assumptions of ourselves were only that … That thought. “I can’t believe this has affected me this much” is our new truth. Counselling can help us to look at this reality whilst maintaining a sense of security in that vulnerability. I say to my clients this is your time to say or express whatever, safe in the knowledge that it is confidential and you are not being judged. It is not my role to judge. I believe that this is one of the main cores in developing a strong therapeutic relationship. As a sibling, parent, child, partner, employer, employee we are constantly on some level of consciousness fulfilling a waking role.. In the counselling room you are free to be yourself. My background is Learning Disability, Mental Health and I am currently volunteer for Domestic Violence. I have been very fortunate to been able to follow my passions in my working life. My learning in vocational training has enabled me to help one find their purpose. This can involve turning passions into reality, actualising ones deepest yearning or life long desires. It was then that I started my studies in counselling and psychotherapy and graduated with a Diploma in Psychotherapeutic Counselling. Im a registered member of the BACP British Association Counselling and Psychotherapy and bound by its Ethical Framework. Professional Diploma in Psychotherapeutic Counselling 2017 (Staffordshire University). Training in Anxiety and Depression.